Port Antonio hotel has long been the favorite choice of the rich and famous, it also welcomes the eco-sensitive traveler. Budget conscious travelers are welcome along with individuals interested in wildlife and a rich landscape. I find it quiet and laid back a place to really relax and enjoy the scenery and renew your spirit. Port Antonio is in a relatively undeveloped area, an elite retreat and a virtual Shangri-La. 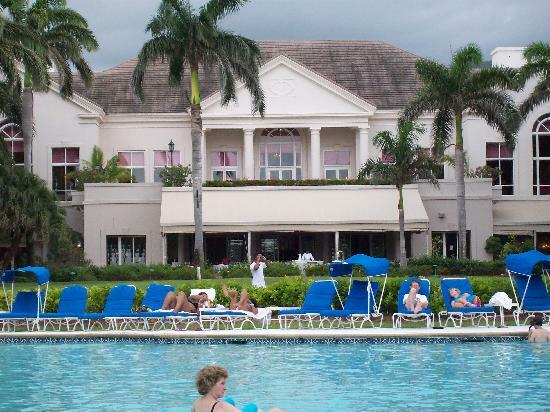 This area lacks the all-inclusive mega resorts and is within easy driving distance of Kingston and Ocho Rios. An ideal oasis for rest and relaxation. The elite and wealthy comes to this most exclusive resort in the Port Antonio area. These two, three or four bedrooms private villas are elegantly decorated and comes with its own chef, housekeeper and butler. All the villas open onto a panoramic view of the sea and are very spacious and is only a two minutes walk from the Blue Lagoon. Town and Country magazine features these villas from time to time. The emphasis here is on privacy and seclusion. It is beautiful and you will love it here. This elegant and famous hotel boast very large villas that are comfortable and suitable for extended families with children. Accommodations also include regular doubles and suites within the Great House as well as one, two and three bedroom villas spread out over this sea bordering cliff situated on park like grounds. 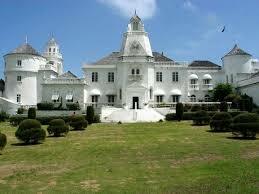 I am told that in the 1970s Queen Elizabeth occupied one of the large three bedroom villas. This beautiful hotel sits on forty-five acres of land with a sheltered white-sand beach, has its own freshwater running stream on top of a cliff overlooking the beautiful waters of Port Antonio. This charming, well maintained inn sits about 590 feet above the coastline on a hillside covered with tropical plants and attracts mostly European visitors who love artsy and ecologically alert setting. Accommodations are under-statedly elegant, with ceiling fans, mosquito nettings and bedrooms with balconies or verandas that overlooks the rainforest all the way down to the sea. This hotel is reasonably priced and ecological conscious. This exclusive hotel overlooks the Blue Lagoon, sprawls along the rocky, volcanic seventeen acres of coastline. Trident Hotel offers luxurious suites and villas and a four room chateau and was renovated recently. Holiday Home offers basic but spacious clean rooms with some having shared bathrooms and a cherry communal lounge. Best of all breakfast is cooked to your liking. Ivanhoe's is another well kept bed and breakfast with some rooms overlooking the harbor. Port Antonio is in the parish of Portland and they have undertaken a number of measures to ensure the greenness of its future which should be relatively easy with this area being the wettest parish in the island. There is now an ongoing development to start attracting a new type of traveler, like the eco-sensitive traveler who wants to explore the natural beauty of the area.